Set by the River Stour, Dedham is in the heart of Constable Country. It was here that Britain's greatest landscape artist went to school. The attractive main street is lined with Georgian-fronted houses, old inns and a large art/crafts centre. The magnificent 15th C. church was built from the wealth of the medieval cloth industry. 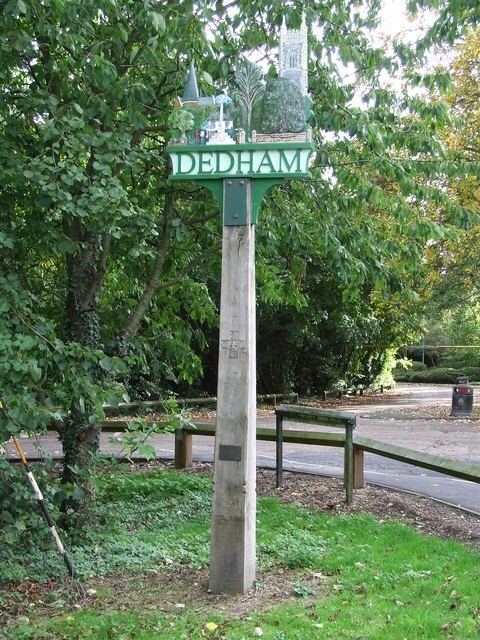 Dedham is frequently rated as containing some of England's most beautiful Lowland landscape, most particularly the Water Meadows of the River Stour, which passes along the northern boundary of the village forming the boundary between the counties of Essex and Suffolk. Of longer influence in Dedham was horse painter, Sir Alfred Munnings who became President of the Royal Academy. His house in Dedham, Castle House, now contains a gallery of his work, and his studio.